Discussion in 'Classic Menswear' started by kungapa, Mar 22, 2011. I recently went on a trip to South America, hitting a few cities on the way. 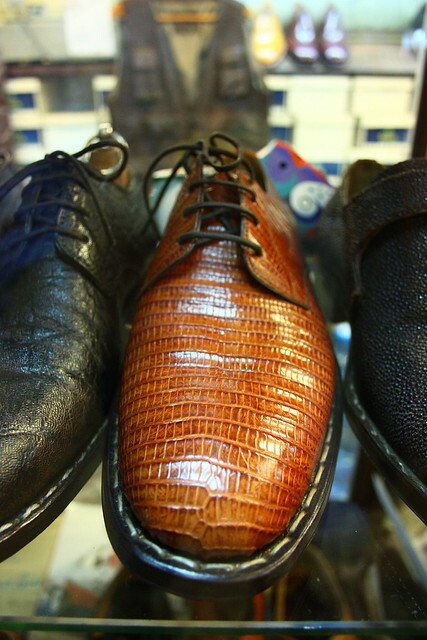 Of course, a must in Buenos Aires was to get some leather goods. 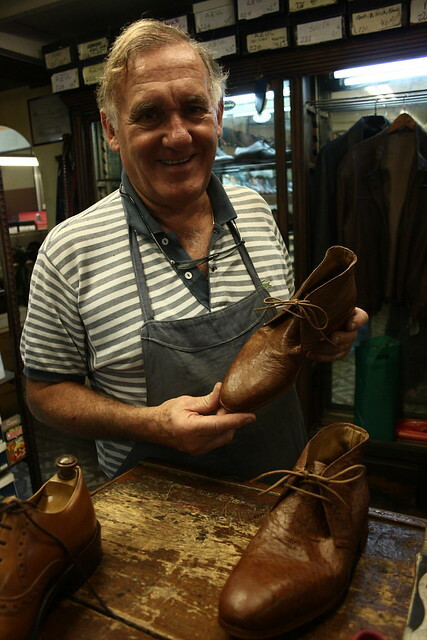 I took the time to visit a small family-owned cordwainer called Calzados Correa while there, and try and get some shoes. 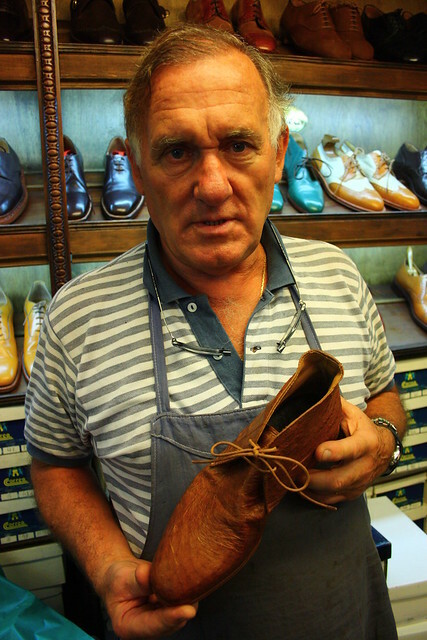 Unfortunately I was there for too short to have a bespoke or custom pair made for me - the turn around would have been at least three weeks. I did get a great and unique pair they had ready though. They had some interesting exotics and colour choices - Spoo would have been happy. 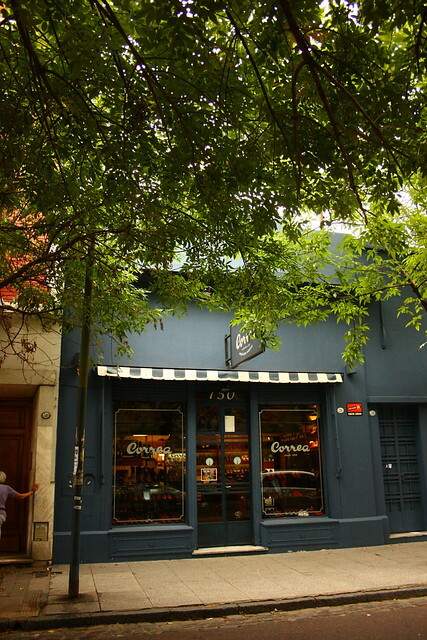 There were people in the store who knew English very well, and helped me interact with the son-in-law of Correa - I assumed he was the owner/principal/commander-in-chief at the place. 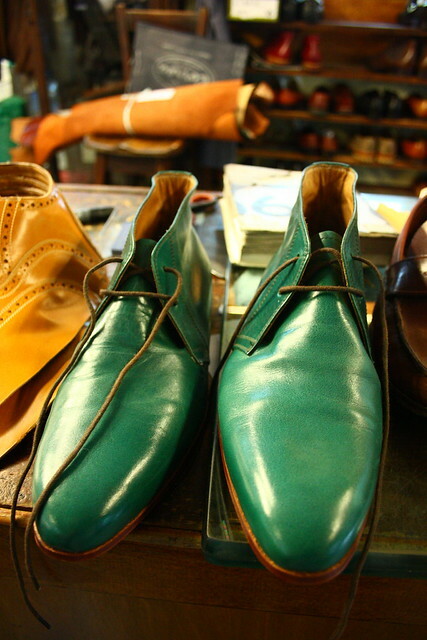 Again with my shoes, and in the background you can see some very interestingly coloured choices. Exotics. The extremely wide camera angle greatly distorts the last-shape in this shot - they were quite sleek. For Spoo. They had the same last in green, yellow and red apart from more traditional colours. 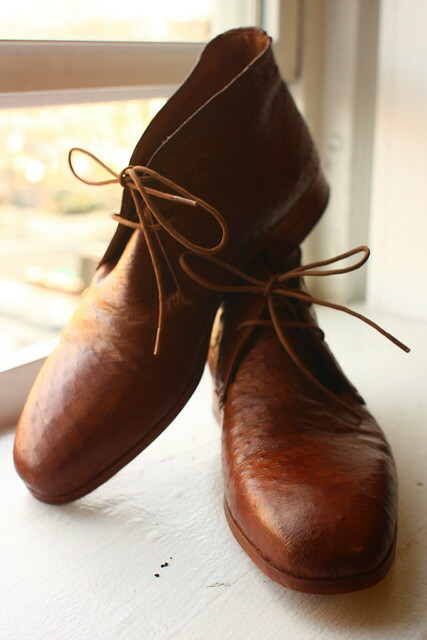 The chukka also came in the form of a shoe I covet - the two-eyelet derby. Unfortunately not available in my size, and the turnaround would have been a week or so - I had two days. Which leads me to what I eventually got. A pair of blake-welted Argentinian ostrich (numha?) 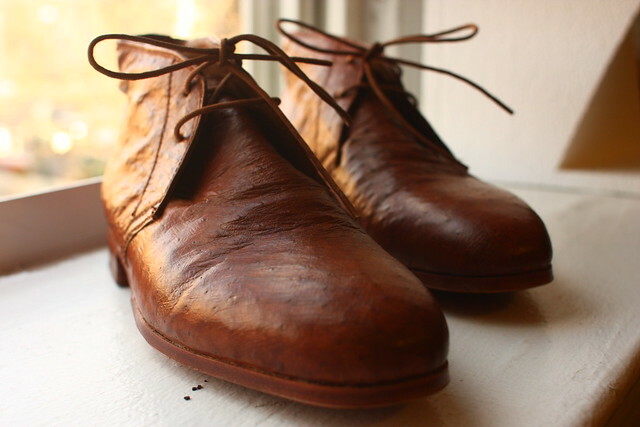 two-eyelet chukka boots. The last shape, the texture and the colour I absolutely love. Slightly above what I would normally pay for a pair of shoes, so they might end up on B&S. Then again, if the weather is good in the next few days, chances are they will not. I just collected today my first pair of custom made shoes from Correa (with my 14AA feet, I have no choice but to go custom). Truly a wonderful experience. 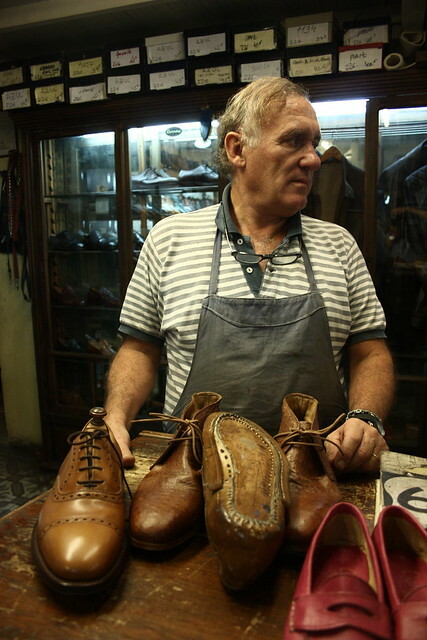 They produce magnificent quality shoes, and are extremely pleasant to deal with. I showed them (on my blackberry) the post above, and they were very excited. The name of the &quot;son-in-law&quot; is, I believe, Hector. I definitely plan on getting more shoes from them, have already been wearing them on several kilometers of walks through Buenos Aires this morning and they are very comfortable as well as looking good. great place. a hunt to find, good experiences there. 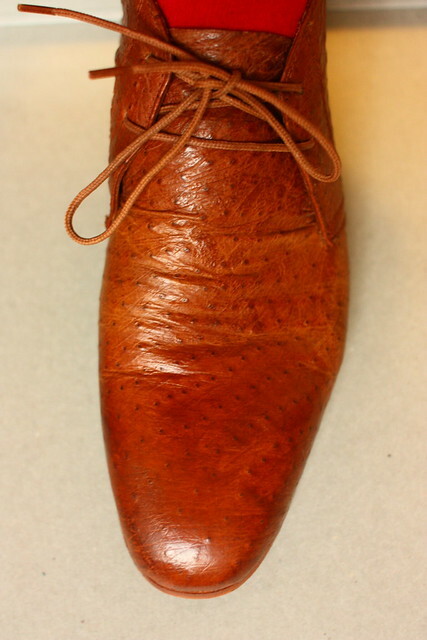 I just collected today my first pair of custom made shoes from Correa (with my 14AA feet, I have no choice but to go custom). Truly a wonderful experience. 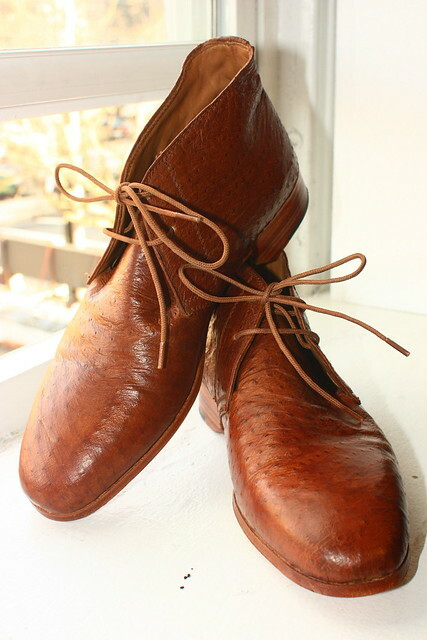 They produce magnificent quality shoes, and are extremely pleasant to deal with. I showed them (on my blackberry) the post above, and they were very excited. The name of the "father-in-law" is, I believe, Hector. I definitely plan on getting more shoes from them, have already been wearing them on several kilometers of walks through Buenos Aires this morning and they are very comfortable as well as looking good. Nice - good to hear it! Any pictures of the shoes? What did you get? This is the funniest post I've seen in quite a while. I'm not being sarcastic, I got a genuine laugh out of this. The link is icing on the cake. Not sure if you are serious or have an incredible sense of humor but, this works. great shop, need more time in BA to get custom made. 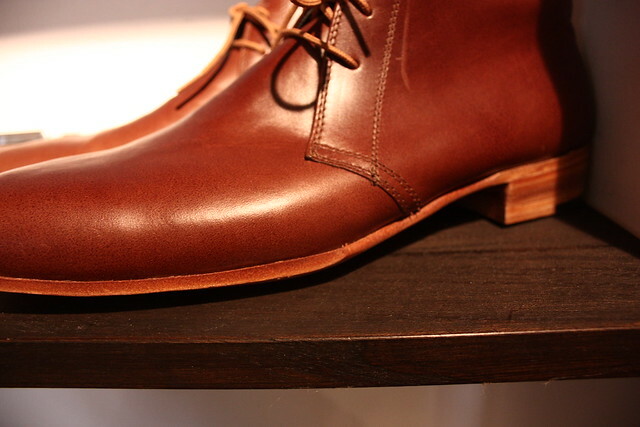 they dont do shoe trees though, which is weird. Indeed - strange. I tried to get some lasted trees, but to no avail. what part of BA (Recoleta, Soho, etc.) and what was the cost? Not a fan of ostrich, but those are probably the least loud pair I have ever seen. Thanks! Actually not ostrich, but a local wild variety running on the plains of Argentina called Numha or something to that effect. There is some scarring on the leather - clearly the animal lead an active life. 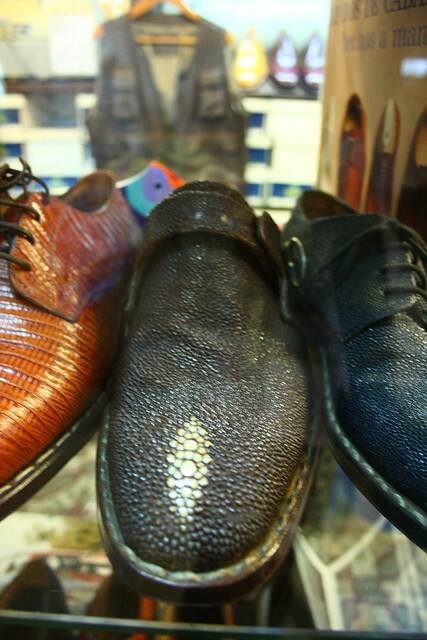 did you get to see their leather selection - their exotics especially? that would have been awesome - I feel silly I did not, and feel equally silly for not trying to see if they could make belts as well. did you go in the back and see the ten thousand plus shoes they have in stock, all hand made?? They did have some leathers being worked on in the customer area - great stuff. I didn't see the exotics though, nor did I get to see the shoe stock unfortunately. I did see some belts though - they seemed to have a good bit of them.